This weeks, people started getting their new Mac minis and MacBook Airs, which were announced last week. And some of them will be designed to know that their bodies are made out of an alloys based on recycled aluminium. It’s a more sustainable, greener product right? Well, not according to some. It’s just marketing, claim some. Casey Williams on Medium declared that “the company’s move to recycled aluminium is good PR… and that’s about it”. “It’s just PR.” “It’s just marketing.” Like most people who come from a background in journalism, I have a near-reflexive disdain for those professions, so I should be a shoe-in for these arguments. But, for once, I’m not. The reflexive anti-marketing stance is one that I’ve been slowly over-coming in recent years. Like everything else, there’s good marketing and bad marketing. Sophisticated PR and obvious, trivial PR. And, at its best, marketing isn’t just about advertising, it’s about the fundamental positioning and beliefs of the company. And isn’t it interesting that we’re so quick to criticise a company for efforts in this field – when scientists are telling us that we need "rapid, far-reaching and unprecedented changes in all aspects of society" if we are to have any hope of halting climate change. 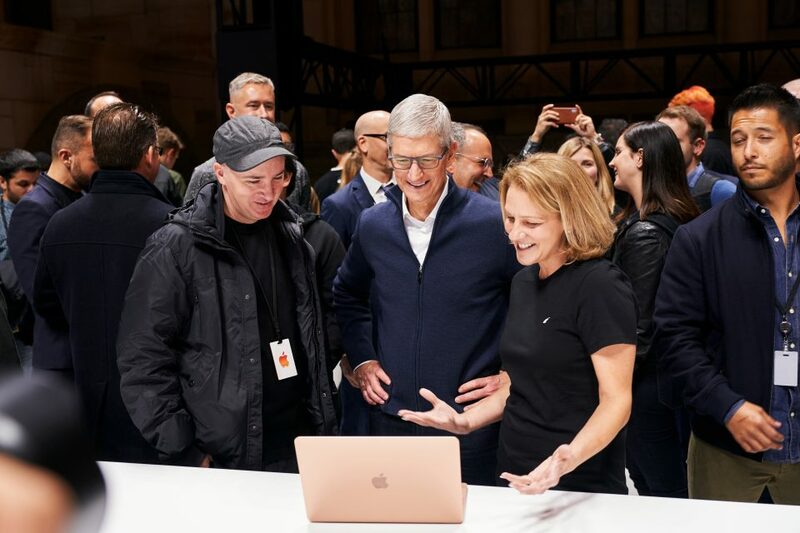 This all started when Apple announced that its two new Mac products — the revamped MacBook Air and Mac mini — are made from an alloy containing recycled aluminium, one that was developed by their in-house metallurgists. Now, they were reasonably clear that this is not-post consumer aluminium, but the offcuts from making the unibodies underlying the company’s iPhones, iPads and more powerful Macs. However, this is significant because it starts to reduce Apple’s dependence on digging raw materials out of the ground. Making more use of what they already buy is presumably just step one; at some point post-consumer aluminium must be on their radar, too, just as parts of the new devices have post-consumer recycled plastic and tin in them. Much like Apple’s shift to renewable energy, which hit a milestone earlier in the year, there are multiple layers to this. It’s not just a green thing, or a financial thing, or values thing, or an ethics thing. 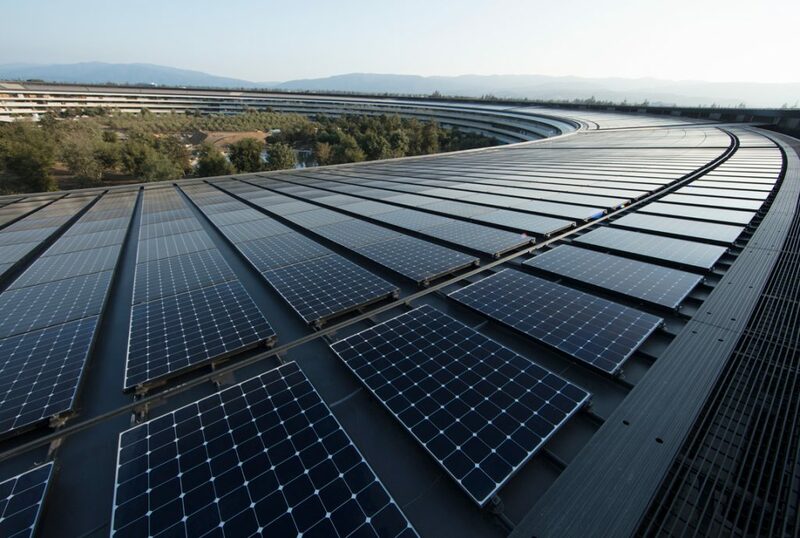 If you want to be cynical – and lots of people are happy to do so — you could point out that the renewables move isolates Apple from price shocks around oil and any future shortage of it. Equally, but shifting towards a more circular supply chain, Apple reduces its dependence on external suppliers and protects its supply of critical raw materials. And that’s fine. Companies are complex systems. Supply chains are even more complicated systems. Apple CEO Tim Cook has form here. He’s a man who likes to align values and marketing. Just a couple of weeks ago he made a speech right here in Europe, talking about the need for greater digital privacy protection — at a legislative level. Once again, it was met with cynicism, but there are good reasons to think that this matters to Cook — personally. It’s important to remember who Cook is, not just the job he does. He’s a gay man — although only openly so for a few years now — who grew up in Texas, not one of the US states particularly noted for its progressiveness. It’s not hard to imagine that he has been, at times, a man who has had to hide part of who he is for fear of social repercussions. A man like that probably has much more serious reasons to make privacy a central tenet of his businesses than the typical young, white and straight founder that dominates Silicon Valley’s big tech companies. And transferring those values into the operating principles of a company that’s amongst the biggest and influential in the world is a refreshing change right now. At least one path to building a sustainable business is aligning your values with your brand’s marketing and image — in a way that boosts the company’s survivability. Right now, the major difference between Cook and his more famous predecessor Steve Jobs is that Jobs has shepherded some of the most influential products of all time. Cook is taking the company he was handed, and trying to shape it into one of the most influential companies of all time. Perhaps people are learning the wrong lessons from today’s Apple. People are getting ever better at aping their designs, their keynote presentation styles and even their retail operations. But perhaps they could learn more from their investment in renewable energy, in recycling, and, increasing in closed supply chains. If we are facing down climate catastrophe, these steps will be necessary. Even if we’re not, it’s good marketing and good economic sense. And they indicate a business prepared to innovate in business and supply chain as much as in its products. There are many good reasons to criticise Apple right now. Its products are getting more and more expensive, and it shoulders a large chunk of responsibility for creating the phone-addled culture we’re trying to escape. But those times when a company is taking steps to make itself a better entity for the planet and the humans who inhabit it, while keeping itself financially sustainable, are still worth praising.